With the first anniversary of Donald Trump’s improbable election at hand, a torrent of books are being published that purport to analyze Trump’s political success and what it signifies and portends for the present and future of American politics. Many of these books appropriately address the “blue-collar billionaire’s” appeal to the ethnic bigotry and white nationalism that has long hidden in the shadows of American politics. But to date, precious few have correctly identified the central role played by gender—specifically white masculinity—in Trump’s rise as a political icon. This exclusion started early. The day after the 2016 election, The New York Times published a list of books to help voters understand Trump’s win. Not one title on the list foregrounded gender; only one, Strangers in Their Own Land (see below), discussed it in any depth whatsoever. If current trends persist, it seems safe to predict that many of the 2016 election books either will fail to discuss gender—outside of reflexive references to the misogyny surrounding Hillary Clinton’s bid to become the first woman president—or will minimize its importance. As a corrective to this systematic exclusion, I have compiled a list that attempts to steer discussions of Trumpism back to a critical analysis not just of whiteness, but of white masculinity. The books briefly summarized here offer an introductory roadmap for anyone—journalists, academics, political science students, armchair analysts—who wants to understand the racial and gendered nature of Trump’s ascension. Some of them are recent releases; others date back a decade or more. Obviously, the list is not even close to being comprehensive. 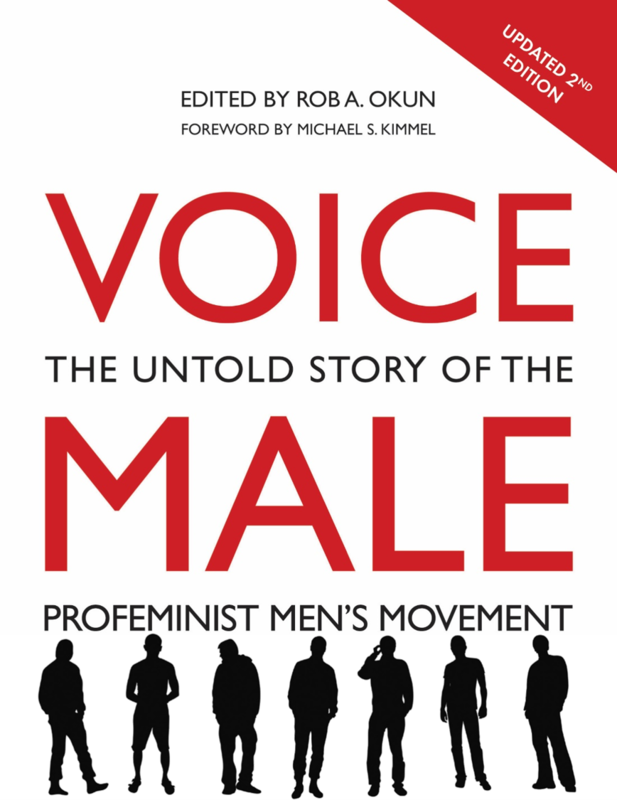 (The new edition of the anthology drawn from the pages of this magazine, Voice Male: The Untold Story of the Profeminist Men’s Movement, includes observations about Trump and masculinity.) Countless books published over the past half-century offer a wealth of insight into the myriad historical, social, economic, psychological, and relational forces at work in the construction of white American masculinity in the late 20th and early 21st centuries. But these books are a good place to start. Kimmel, an eminent sociologist and indispensable scholar of masculinity, powerfully lays out the historical and cultural currents in white American masculinity that have fed the rise of Trump. One of these is “aggrieved entitlement,” or the belief many white men hold that if they’re not achieving the American Dream, someone (e.g. Latino immigrants, Black Lives Matter activists, liberals, feminists) must be to blame. Essential reading for any journalist or scholar who seeks to understand the class, race and gender/sexual politics of heterosexual white American men’s rightward shift in a society that is increasingly accepting of ethnic, racial, gender and sexual diversity. The paperback version released this spring contains an updated preface by the author that includes a discussion of Trump. Landmark analysis of the subtextual influence of male anxiety on American politics. 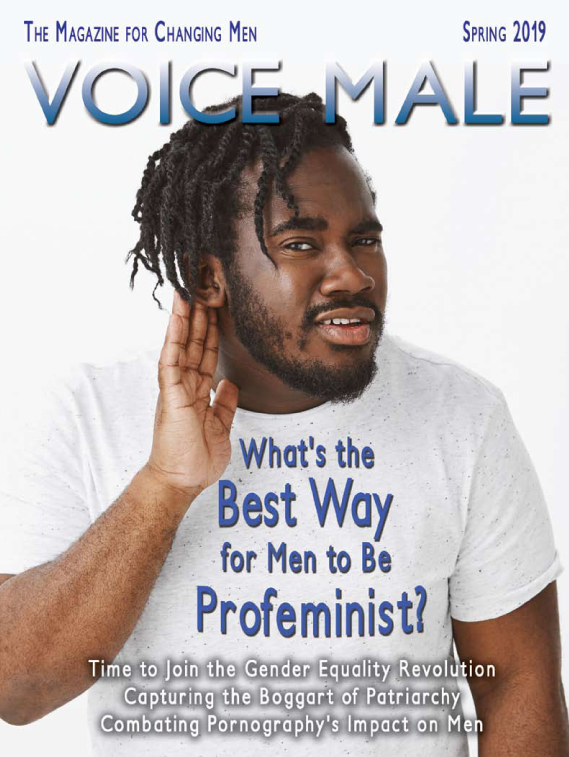 This brilliant but unfortunately semi-obscure volume is teeming with stunning insights about the political implications of men’s psychological needs and desires in the context of patriarchal culture. 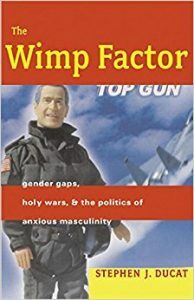 Ducat pays special attention to men’s fears—especially their fear of being perceived as “feminine”—and how “phallic” insecurity plays out in myriad ways in political struggles around guns, foreign policy, terrorism, the death penalty, and a range of other contemporary hot-button issues. Published in 2004, this study concluded during George W. Bush’s presidency but its explanatory power remains remarkably undiminished. Through an engaging and highly readable amalgam of memoir and social history, Walsh tells a story of how cultural and political changes over the past half-century have shaped the lives and political ideologies of white people, specifically the ethnic white working class. 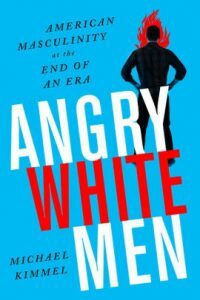 Notably the book does not explicitly discuss white men; when gender is mentioned it is mostly to describe the author’s experiences as a woman amidst the broader feminist transformations of the era. 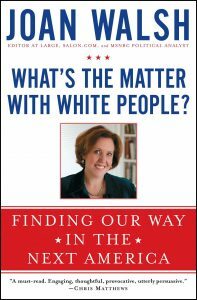 Nonetheless Walsh’s personal reflections and political insights provide a useful lens with which to examine many white people’s resentment and alienation in the face of epochal racial/ethnic changes, sparking an electoral backlash that has decimated the Democratic Party at the state level and resulted in the election of a president beloved by white nationalists and sundry other racists. 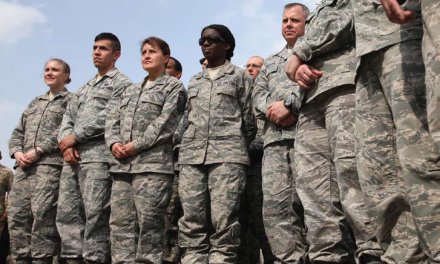 Any serious discussion of the many gendered forces at work in contemporary American politics has to include the central role of Fox News in pushing the national discourse to the right, in part by its relentless ridicule of any challenge to traditional patriarchal authority as part of feminism’s effort to “wussify” men. From its inception, Fox has offered a megawatt platform for some of the most aggressive and bullying conservative white male personalities, e.g. Bill O’Reilly and Sean Hannity, both of whom became rich and famous by confidently and angrily reasserting (white) men’s cultural centrality. This invaluable book tells the story of how the deeply cynical, conflict-ridden and pathologically misogynous founding chief, the late Roger Ailes, forced out last summer by Fox for allegations of serial sexual harassment, made a network in his own image. 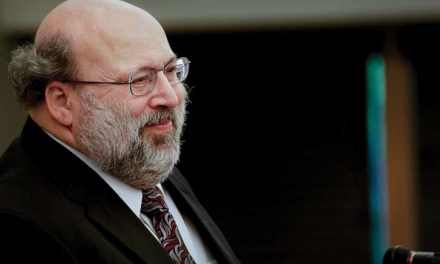 Lakoff is a groundbreaking cognitive scientist and linguist who advanced the idea that frames and metaphor structure the way we think about politics, and that only by examining these underlying mental processes can we fully understand why people vote a certain way. 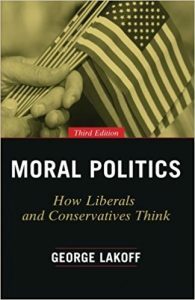 This book includes a thorough analysis of Lakoff’s famous thesis that ideologies of the family shape political ideologies. In this view, the Republican Party represents the “daddy party,” the provider and protector who lays down the rules and expects them to be followed. By contrast the Democratic Party is seen as the “mommy party,” which nurtures and supports children and is more warm and fuzzy—and thus less masculine. In terms of its depth of insight, this book does not meet the lofty standards of the other books on this list. Nonetheless, the author, a conservative television and radio personality, has usefully written what Trump’s long time advisor Roger Stone called the “Handbook of the Trump Revolution.” Root forcefully argues that the Democratic Party and Obama in particular have been out to attack and destroy the American dream, and Trump is his hero because he has the guts and charisma to defend that dream. The rhetoric in this book is over–the-top and filled with hypermasculine language and imagery, such as when Root compares Trump to William Wallace of Braveheart fame. But for Democrats, progressives and feminists who see Trumpism as a threat not only to Democratic rule but to democracy itself, it is important to engage directly with the arguments and understand the sources of the white male (and female) anger Trump channels every day on TV, Twitter, and in public rallies. This must-read collection focuses on the barriers and obstacles facing women presidential candidates. But thoughtful analyses of women’s continued subordinate political status by definition contain invaluable insight about the myriad ways in which (white) men retain cultural and political power and control. 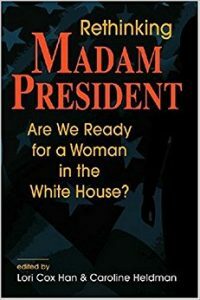 This book was published before Hillary Clinton’s first run for the Democratic nomination in 2008, but most of its content was relevant through the 2016 election. Any serious examination of Donald Trump’s victory must include analysis not only of his pugilistic performance of white masculinity, but also of the deeply misogynous aggression he and his supporters directed toward Hillary Clinton. The articles in this book provide a wealth of data and analysis about these matters. The editors just published a new volume that updates much of the analysis contained in Madam President. It is entitled Women, Power, and Politics: The Fight for Gender Equality in the United States, and will surely be required reading for all political science scholars and students, as well as for any journalist who covers U.S. presidential politics. 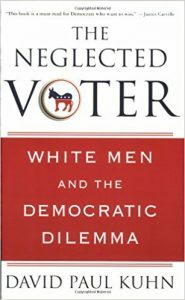 The influential sociologist’s aim in researching and writing this engrossing book was to climb over the “empathy wall” and try to understand why so many white working-class people over the past generation have voted for conservative Republicans, in a way that appears to many liberals and progressives to be patently against their own interests. 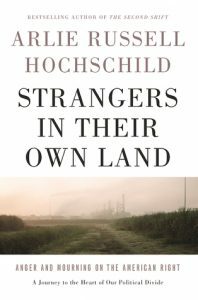 Hochschild interviewed dozens of white people in the pollution-ravaged region of southwest Louisiana—a major Tea Party stronghold that went overwhelmingly for Trump —and by bringing to life the “deep stories” that inform their worldviews, sheds light on how resentment about their stalled path to the American Dream shapes their political loyalties. 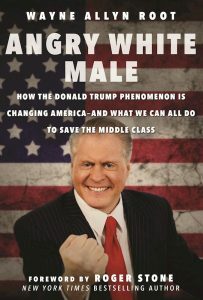 Read this book for deeper and more personal insight into why so many white people are attracted to Trump’s slogan “Make America Great Again,” including white men who have experienced the loss of well-paying jobs, the rise of the women’s movement and the election of the first African- American president as profoundly decentering and emasculating. The animating theme here is the highly masculine nature of the American presidency: the president is not just chief executive, but (he) also occupies a powerfully symbolic role as head of the First Family, commander in chief, and literal representative of the nation’s “manhood” on the international stage. Presidential campaigns thus amount to contests between competing versions of masculinity— often boiling down to more progressive/feminist versus retro versions —played out under the blinding glare of the media spotlight. (This) author analyzes key elections from 1972 to 2016, through the rise of Trumpism, which is described as a defiant reassertion of white male identity—especially white working-class male identity—after four decades of economic stagnation and social change. 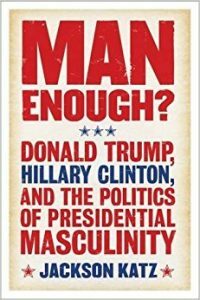 Includes discussion of the critical role that Rush Limbaugh, talk radio and Fox News play in critiquing and defining presidential masculinity, and a highly topical analysis of the gendered features of the Trump-Clinton race up to the summer of 2016. 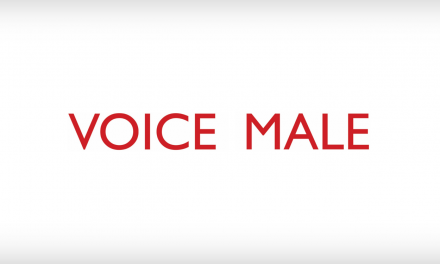 Voice Male advisory board member Jackson Katz, Ph.D., is co-founder of Mentors in Violence Prevention (MVP), creator of the award-winning Tough Guise videos, and author of The Macho Paradox and Man Enough? Donald Trump, Hillary Clinton, and the Politics of Presidential Masculinity.